If you're a PC gamer who loves to hop into a game's advanced menu and adjust sliders and assign buttons as soon as you fire up a brand new game, the folks at Irrational have good news for you. 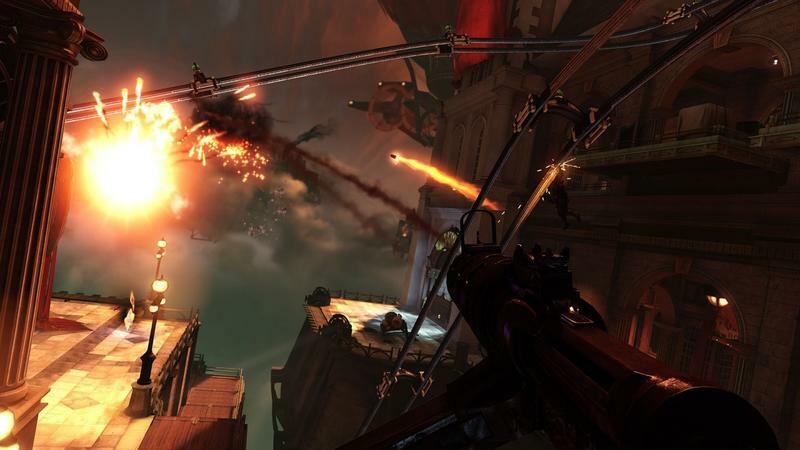 BioShock Infinite will feature a full host of customizable graphics and control options for PC gamers. The game's official minimum and recommended specs were released today. Do yourselves a favor and actually head over to Irrational Games' blog post on this subject. It's by-lined by Ken Levine, and the text is positively hilarious. It also screams "PC gamers, we get you!" at the top of its lungs before reaching its end. It looks like PC owners will be able to tweak and fiddle with custom controls and graphics options until their hearts are content. BioShock Infinite will launch for the Xbox 360, PlayStation 3 and PC platforms on March 26th, 2013.